【SFdiary Vol.28】Presentation! 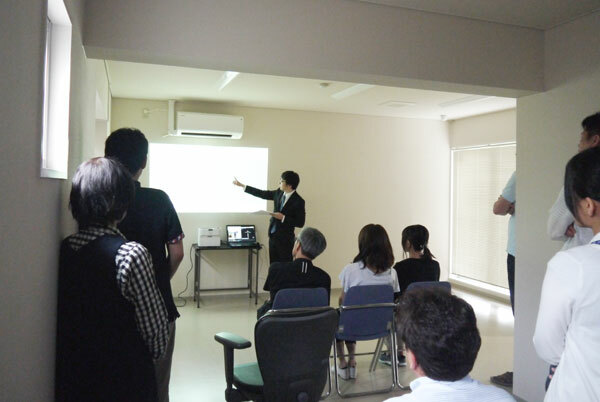 | 株式会社システムフレンド | SYSTEM FRIEND INC.
Mr.Kishimoto made a presentation of 『鑑AKIRA』in English in front of foreign employees.Presentation as well as question and answer session is in All ENGLISH ! 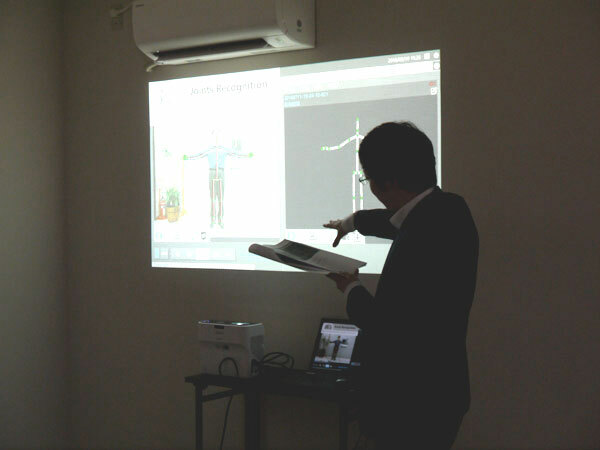 He has plan to make a presentation in front of foreign people in a few days, so he was simulating the presentation. 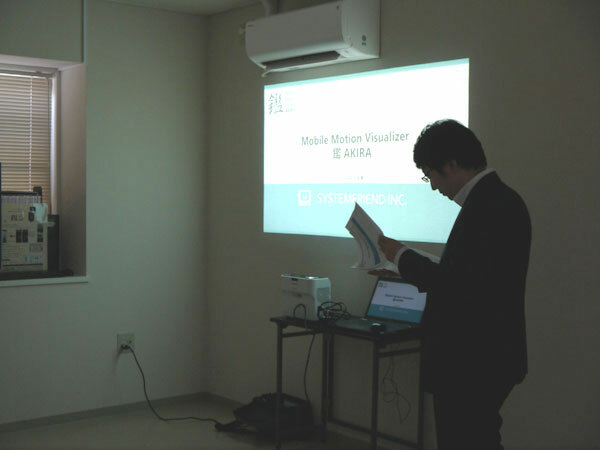 Unlike daily conversation, the presentation in English is difficult, because there are many technical terms, isn’t it?Mr.Kishimoto who is fluent in English also seemed a bit nervous. After the simulation of the presentation is all over, they discussed the contents and expression method how to express in English to convey accurately. It is surely supposed that the appeal of 「AKIRA」 and the wish of development team will firmly transmit to foreigners. The presentation 's production is finally this week! Final rehearsal is being held in front of more audience!